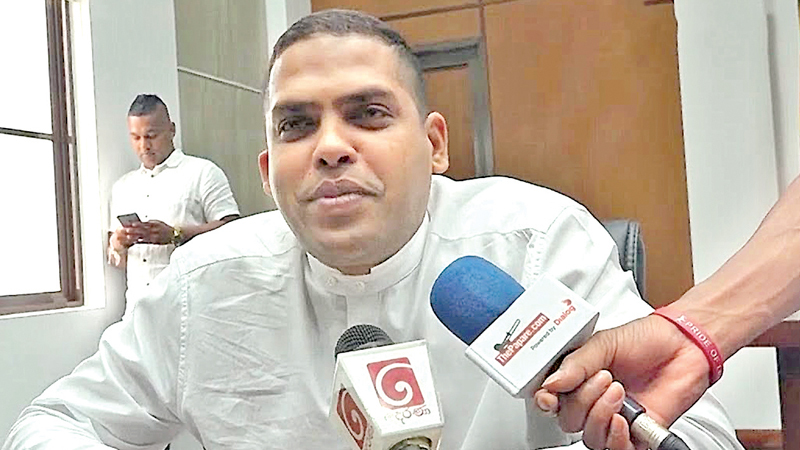 Newly appointed Minister of Sports Harin Fernando stated that the biggest issue Sri Lanka cricket was facing is that they have been named as the number one country for corruption and priority should be given to get the country’s name cleared of it. The Minister made these remarks at a media conference held at SLC headquarters after he had made a official visit to the headquarters yesterday. “We want to clean up cricket first before everything and I will visit the ICC on Thursday and explain to them the current situation facing Sri Lanka Cricket and I hope they will never go against us appointing an interim committee,” said Fernando. The Minister further stated that it was important for SLC to come under an interim committee until the governing body was cleared of all allegations of corruption by the ICC’s anti-corruption unit. “During interim committees our team has won all the major titles and it has not affected the team’s progress,” the Minister said. Speaking further Minister Fernando stated, “When compared with other countries like Australia and England they have few numbers in their vote system but in Sri Lanka there are so many votes. The Minister said that former Sri Lanka captains Kumar Sangakkara and Mahela Jayawardene will be handing over their Cricket Development plan report to him yesterday. “I requested a cricket development plan from the former legends Kumar and Mahela and they will handing over their report to me today (Monday) evening at my ministry,” the Minister said. The SLC election is scheduled for February 7, but may be postponed if Minister Fernando gets the greenlight from ICC to postpone it.